Voice: Legislative Program | Kind.Fund: Crowdfunding and fundraising for personal causes and charities. Samantha Lovering responsible for this donation. This is a great cause, Olivia. Best wishes! Literacy is such an important cause! Best wishes to you all! Great to see students active in such an important cause. Literacy creates successes and options and choices. Choices lead to a more productive and fulfilled life. Readers are leaders! I'm so proud of these students and support people for being active in the community and helping others have a better future. YOU ROCK! Fantastic initiative organized by incredibly passionate students. I wish Isha and all the student volunteers success! Great cause! Glad to donate to help increase literacy! keep it up! 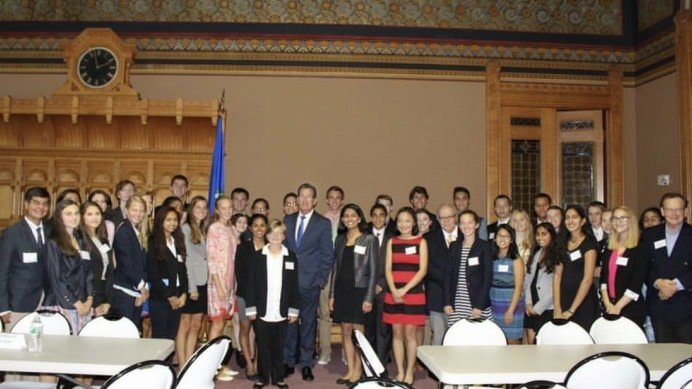 Voice is a legislative program for students across the State of Connecticut. Our goal is to increase literacy rates in the state this year through legislation and state projects. We are donating books to organizations across the state and are going to run a library on wheels in the spring. Voice was started by a student in Trumbull and has grown into an opportunity to make a difference in the state The money goes toward our event costs and our community projects. We are collecting it by February 28th. Thank you so much for all of your support. Voice looks forward to improving education in CT!